Home » Brain Function » What Is Sundown Syndrome? What is sundowning syndrome? Also known as “sundown syndrome” and “sundowner’s syndrome,” it’s a period of agitation or cognitive impairment that occurs in the late afternoon or evening, hence the name (1). It’s difficult to describe exactly what sundown syndrome is since, by definition, it lacks a specific identifiable mechanism or trigger besides the time of day. There are theories, of course, but no definitive nature. 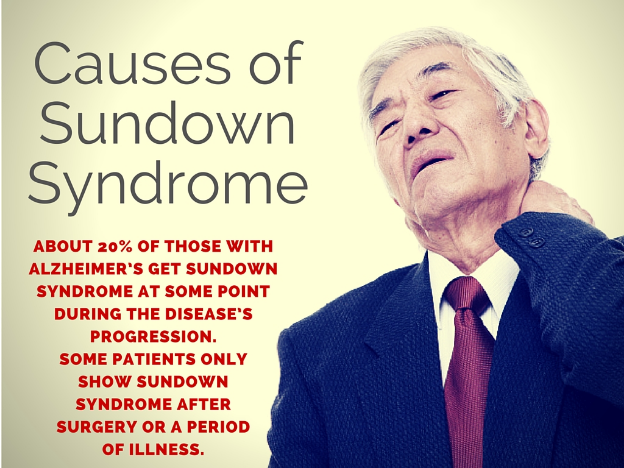 Incidentally, since the phenomenon occurs most often in people with dementia or Alzheimer’s, sundown syndrome is seen in the elderly almost exclusively. Though not a strict cause, sundown syndrome is known to occur more in patients with pre-existing memory loss and those who are moved to unfamiliar settings. Managing sundown syndrome takes two forms (2). The first is the minimizing of potential risk factors or triggers and the second is how to help keep someone calm as they go through it. When interacting with someone who experiences sundown syndrome, or if you experience it yourself, keep an eye out for patterns. What activities coincide with the onset of symptoms? Is there anything you or the patient sees or hears prior to sundowning? Does anything in the room cast shadows that could agitate someone with vision difficulties? Do you or the patient sundown every night? If not, what differences are there between triggered nights and normal ones? Another approach and one that can be done concurrently is trying to maintain a daily routine. Regular times for waking up, meals, and sleep can help ease agitation in the evenings and allow rest to come more easily. Events like visits, outings, or appointments should be scheduled in the earlier hours of the day when possible. Care should also be taken to avoid things that can possibly affect sleep, such as caffeine in the evening and exercising or napping within four hours of bedtime. When the evening period arrives, take steps to help maintain calm. This could include closing the curtains and blinds or turning on the lights to keep shadows at bay. Maintaining a comfortable room temperature may also help with relaxation. Try to make sure that anyone moving around nearby, such as other members of the household or nursing staff, isn’t making a lot of noise. Some mild, relaxing activities such as reading, listening to calming music, or going for a light walk can be used to help wind down. If you or the patient has recently moved to an unfamiliar location, setting up familiar items can help create a more calming setting (3). The presence of a family member or friend may help them stay calm. 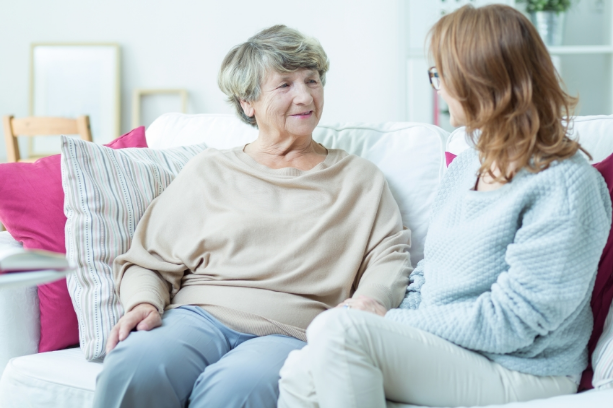 It’s important for caregivers, whether they are family members or trained nurses, to understand how to manage someone who is sundowning. Being able to effectively, respectfully, and safely interact with a sundowner is a key part of everyone’s well-being and safety. Remain calm and ask if something is bothering them. Acknowledge that you are listening, even if you can’t fulfill a request or demand that is made. Reassure them that everything is OK. Resist the urge to argue or contradict them. If they need to pace or otherwise get up and move around, let them but stay nearby and observe. If wandering is a concern, then locks on the doors, windows, or gates may be needed. You may also consider giving them an identification bracelet. Do not leave someone who is sundowning alone in a car or in a public place while you take care of an errand or another “just for a minute” activity. Although there is no definitive cause or treatment for sundown syndrome, the treatment options mentioned earlier do show some level of effectiveness. If none of them seem to work or if the symptoms are getting worse, consulting with your doctor is advisable. The doctor may be able to prescribe medications that can help or perform examinations and tests to see if there is an underlying condition such as an infection or sleep apnea that could be aggravating the symptoms.